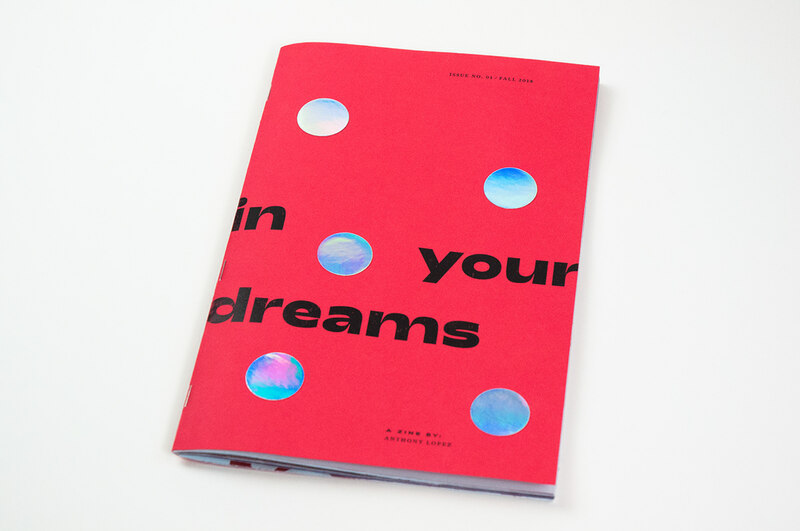 In Your Dreams is a zine written, curated, and designed by myself. 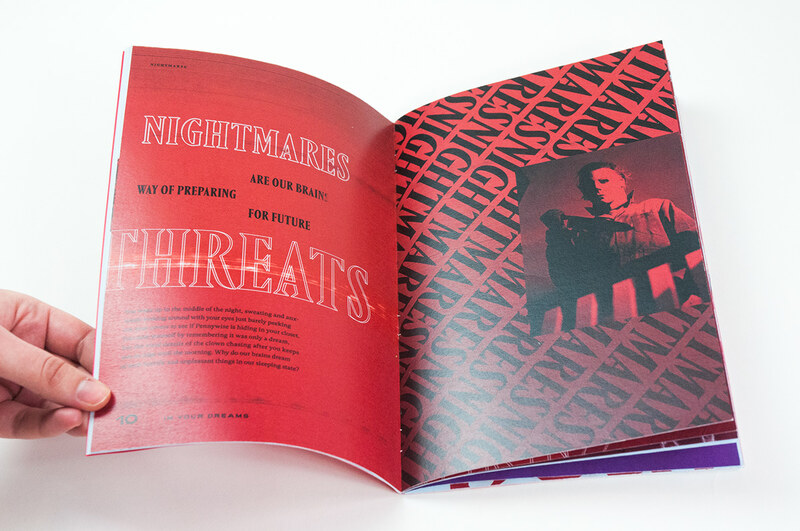 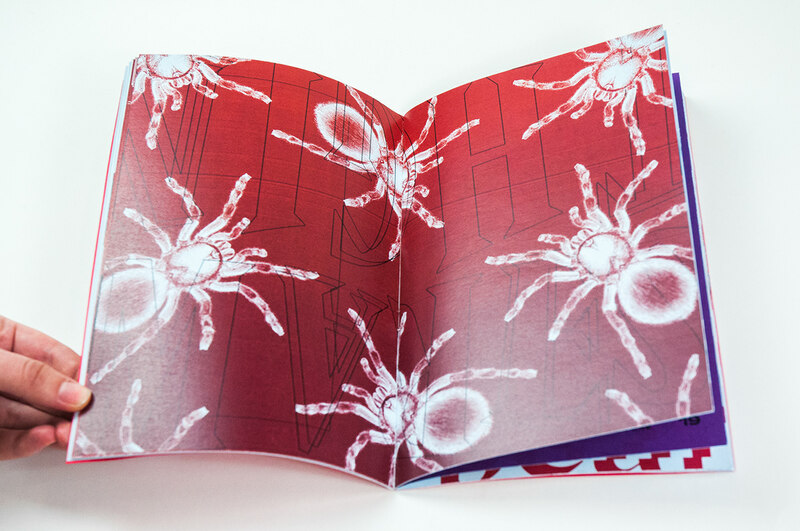 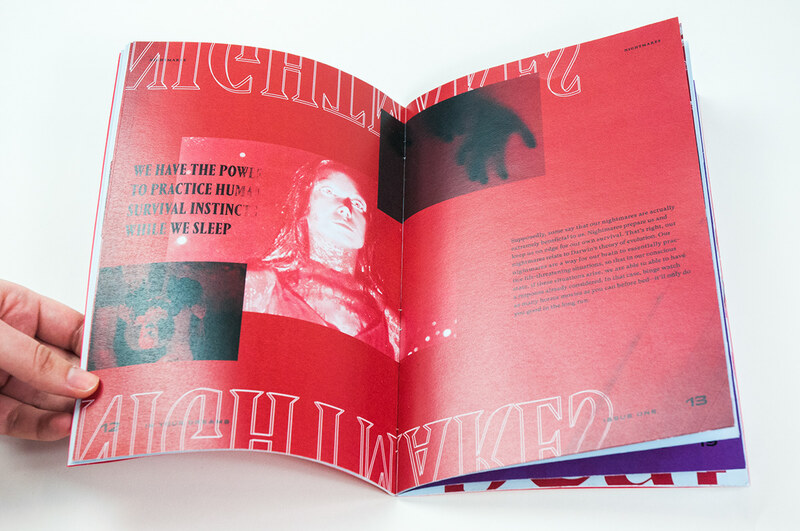 This zine's subject matter is the weirdness and absurdity of the phenomenon of dreaming. 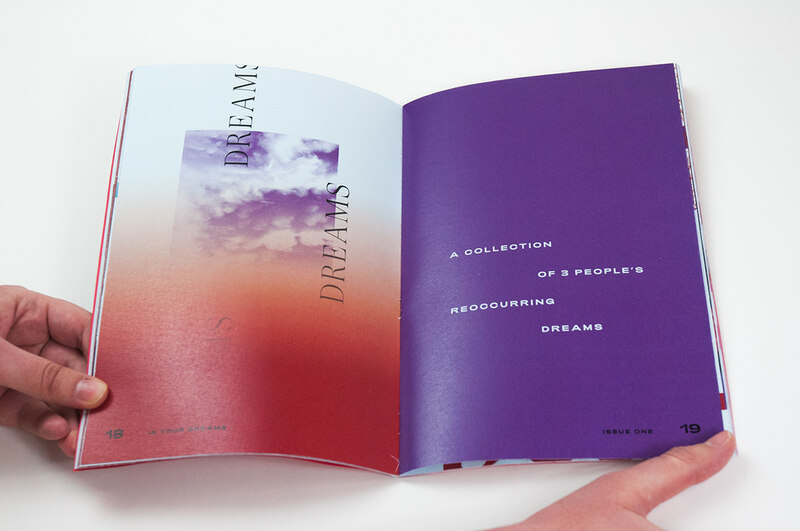 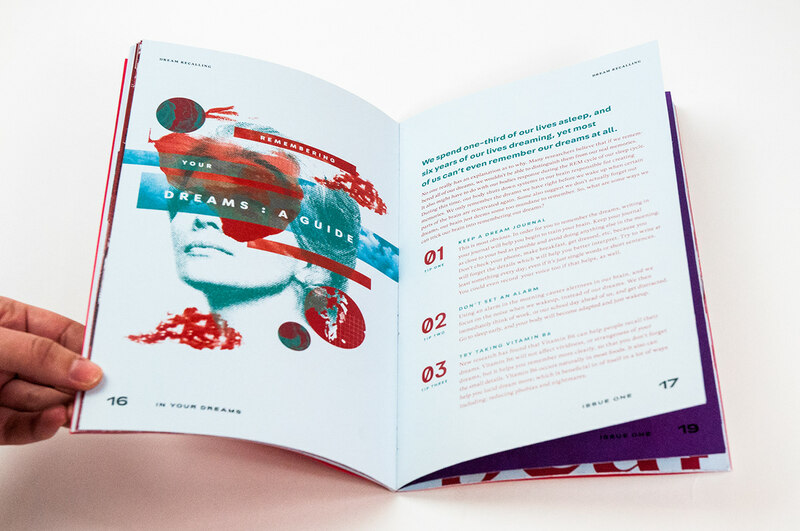 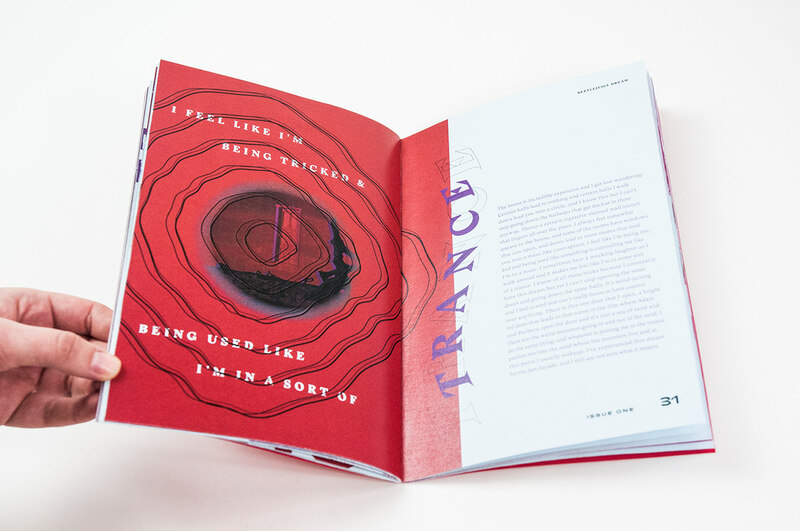 The zine is intended to feel loose, and experimental with content including guides, stories, articles, and interviews related to dreaming. 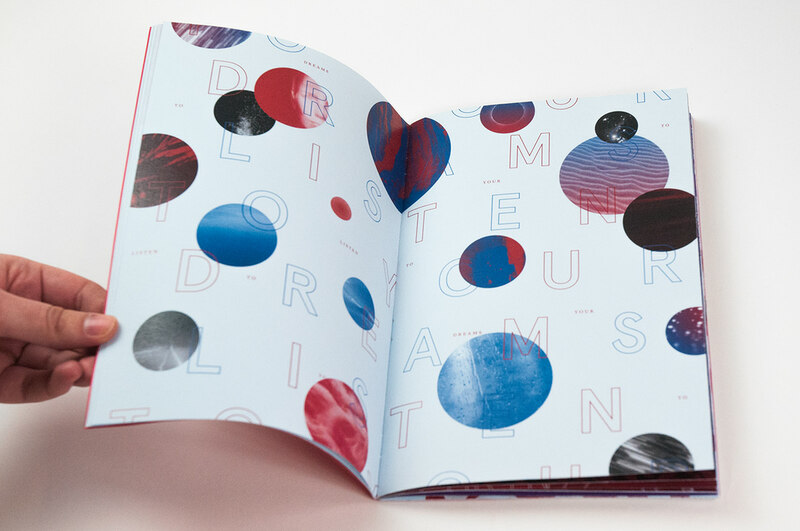 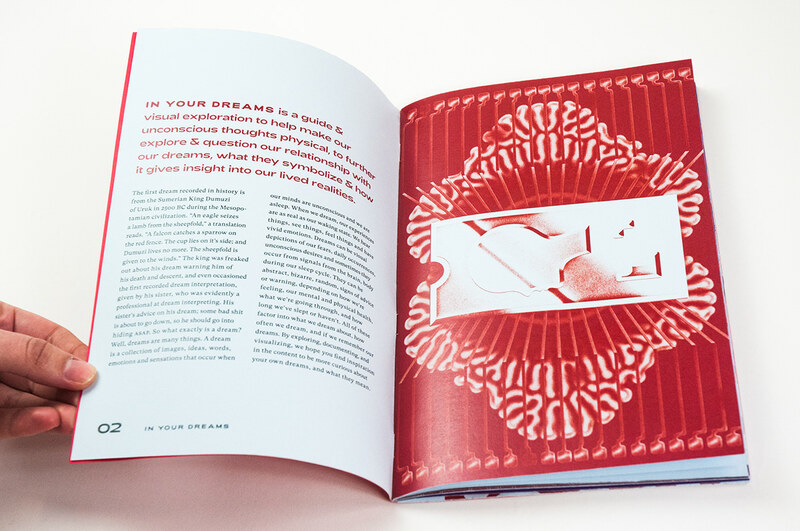 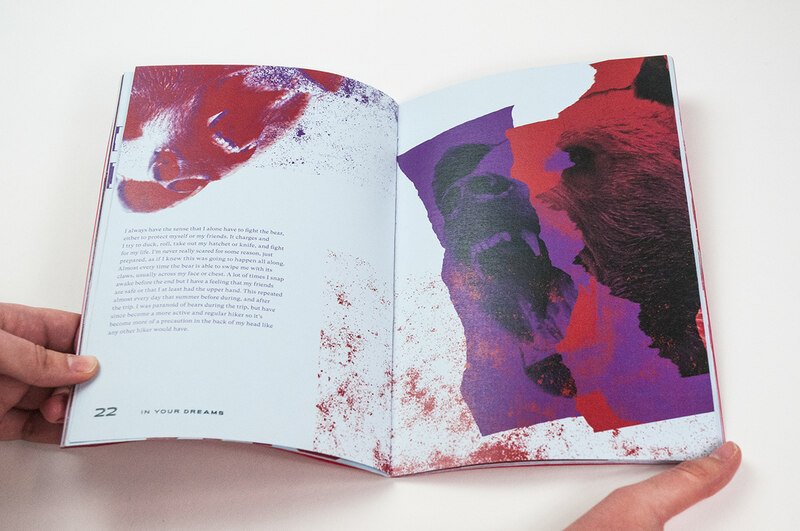 The cover is printed on red paper with holographic stickers to represent the surreal nature of dreaming. 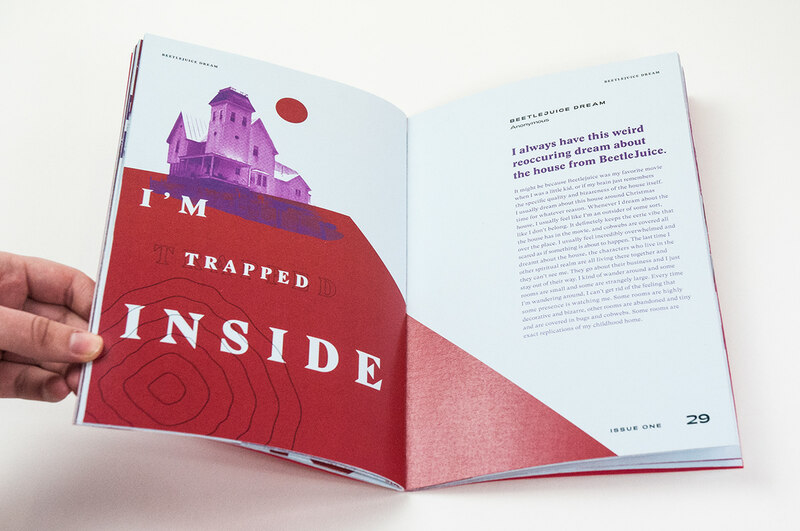 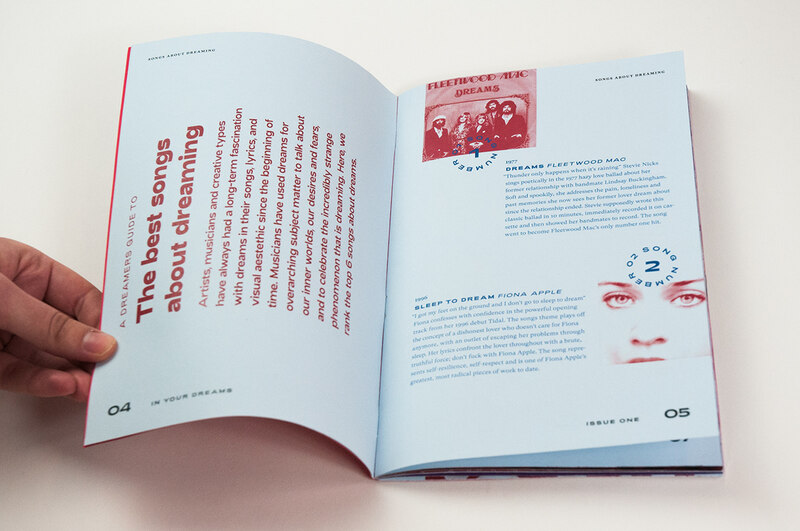 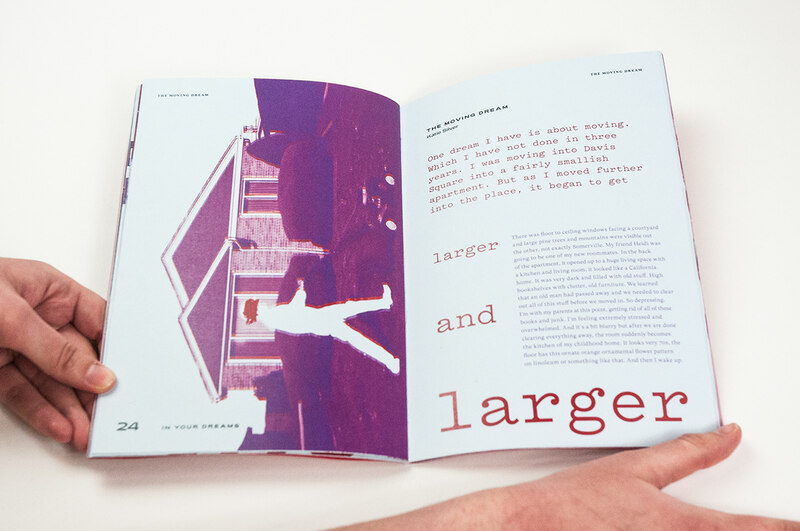 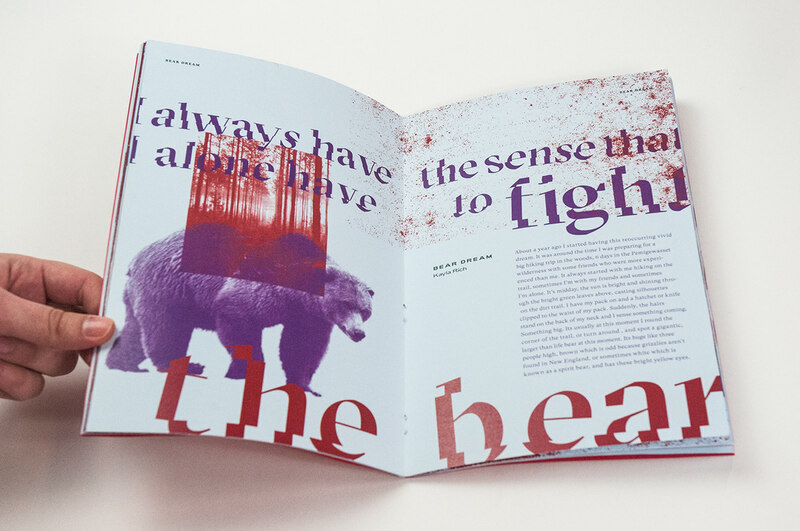 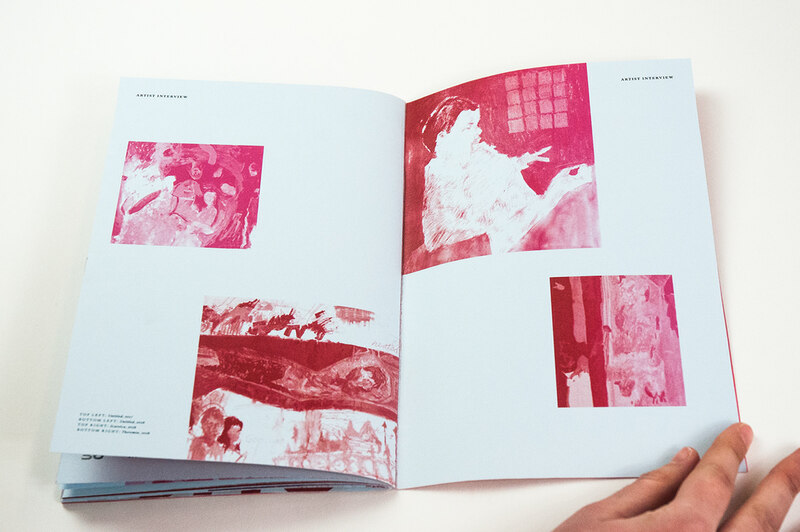 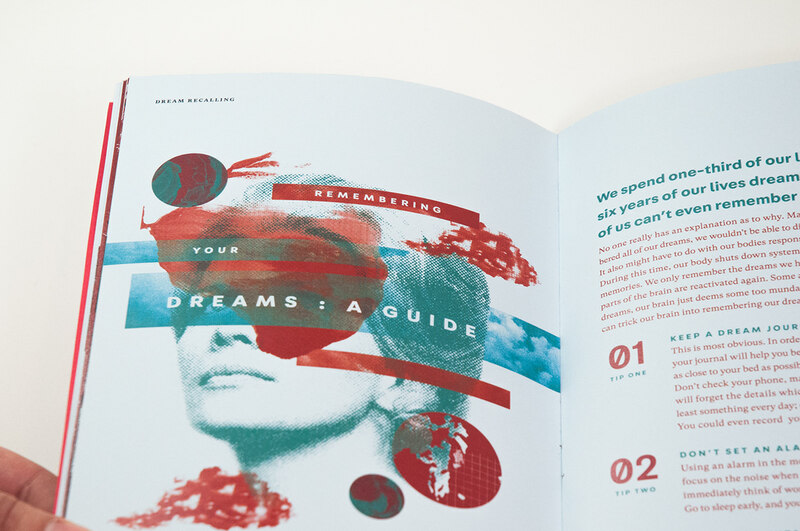 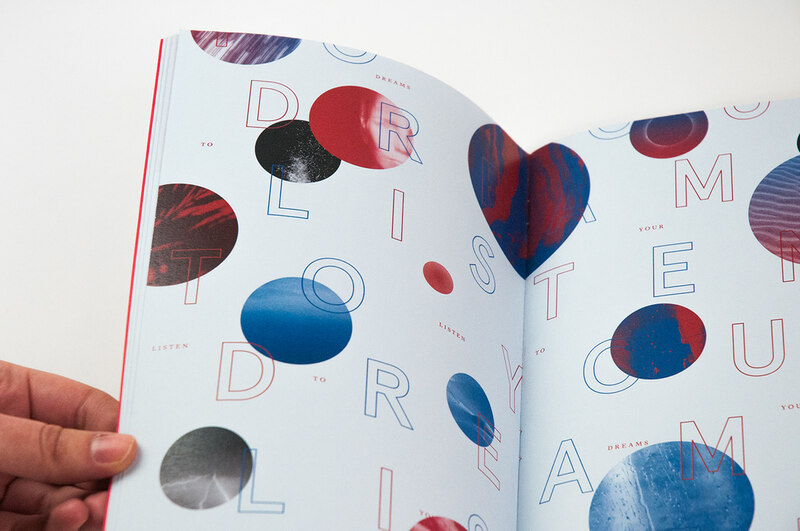 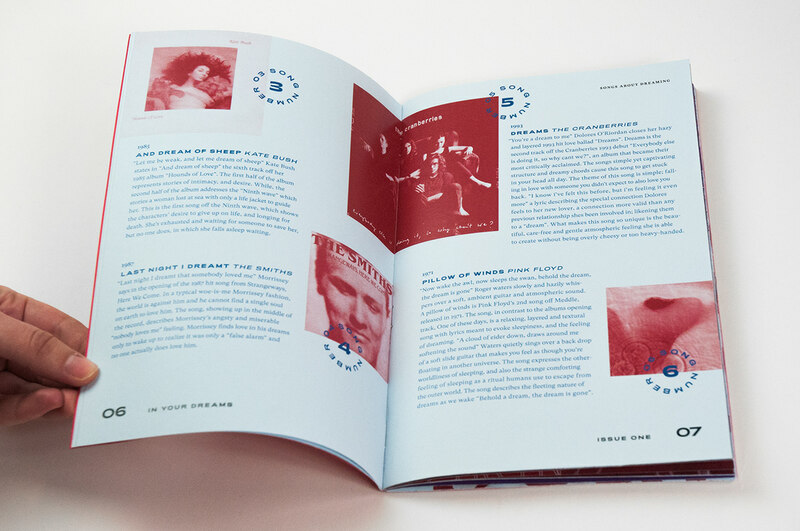 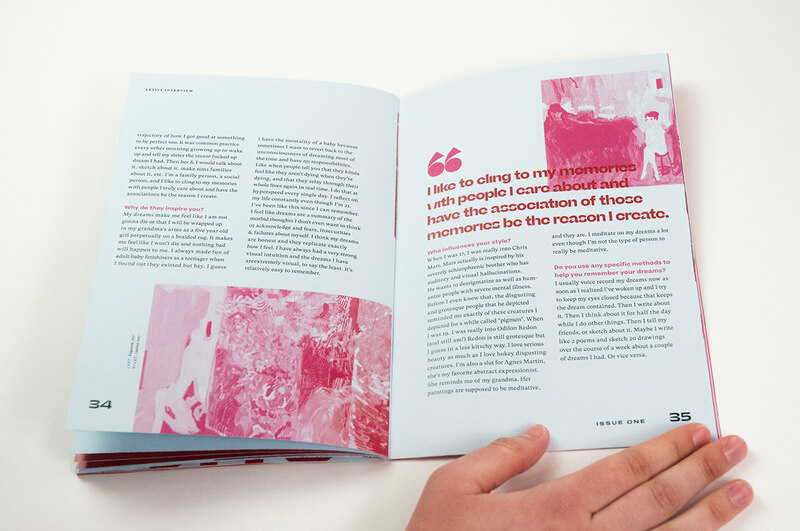 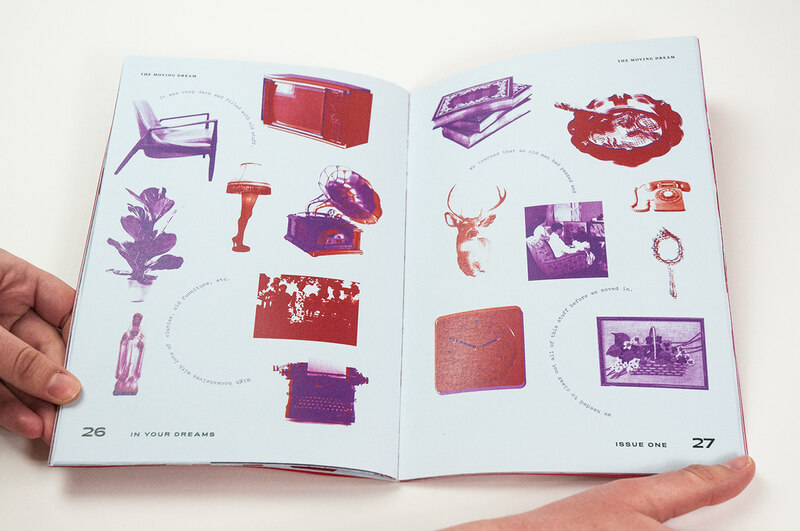 The text pages are printed on a pale blue color to also give the zine a dreamlike feeling.